The past year has been one of change, collaboration, and innovation for the MFLN. We started 2016 by implementing a new approach to program planning and delivery: identifying timely and relevant issue-driven content reflecting the professional development needs of our audiences. We also shifted to a collaborative planning approach, which helps us address issues from multidisciplinary standpoints. Finally, we began shifting program delivery from lecture-style content delivery to problem-centered learning approaches that rely on our audience members’ participation and experience. These shifts in programming resulted in seven collaborative webinars, five “Lunch and Learn” sessions (discussion sessions as follow-ups to webinars), and two open-forum webinars. Across the network, you may have noticed some of these changes as a part of your participation experience: an increased use of case studies, intentional interaction in webinars and social media, and dedicated “chat times” in webinars; blog posts responding to questions and issues raised in webinar chats; expanding webinar conversations to our social media platforms; and programming topics that reflect your requests. We are just getting started on these new approaches and will continue to refine our work as we move into another new year of programming! We also welcomed several new staff members in 2016: Caitlyn Brown and Bari Sobelson joined Family Development at Valdosta State as information specialist and social media specialist, respectively; Alicia Cassels joined the leadership team as evaluation consultant; Kristen DiFilippo joined Nutrition & Wellness as professional education coordinator at University of Illinois Urbana-Champaign; and Mitch McCormick joined Community Capacity Building as social media specialist at Cornell. New staff and old have been instrumental in implementing programming changes and also in keeping the MFLN mission at the center of all we do. 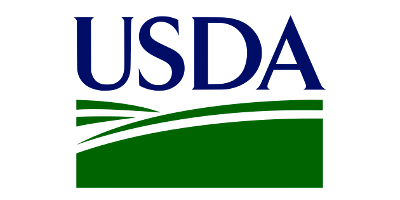 We are grateful not only to our brilliant and dedicated staff, but also to our colleagues at the Department of Defense and across the Cooperative Extension System for helping to make 2016 one of our most productive and successful years yet. We also want to thank YOU, our audience members, for your continued participation and support! 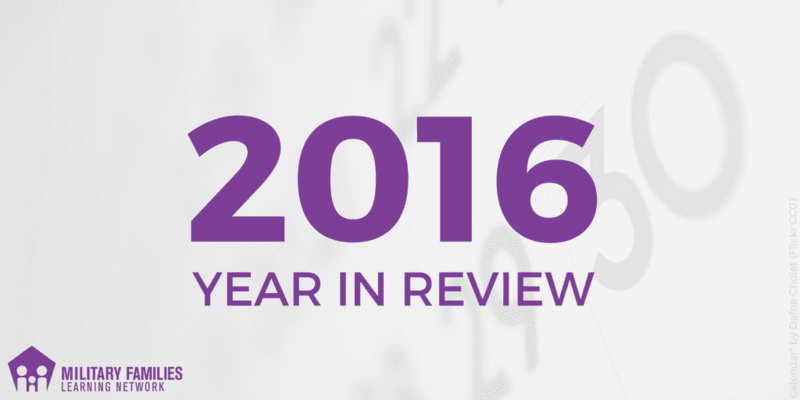 In 2016 alone, 5,725 of you attended our 50 live webinars and 3 virtual learning events. In total, you earned 7,727.5 continuing education credits (way to go!). We ended the year with 26,742 Facebook likes, 3,445 Twitter followers, and 94 LinkedIn group members. Please keep up the pace for 2017, and let us hear from you! We want to know what issues are important to you. We want to hear about your professional experiences. We want you all to have the opportunity to learn not only with us, but from each other. Interact with us during webinars, on social media, and on our blog pages. Contact the staff of the CAs to let them know about your professional development needs, facilitators you would like to interact with, and ideas for future programming. Please let us know how we can continue to serve you as you continue another year of service to our nation’s military families. 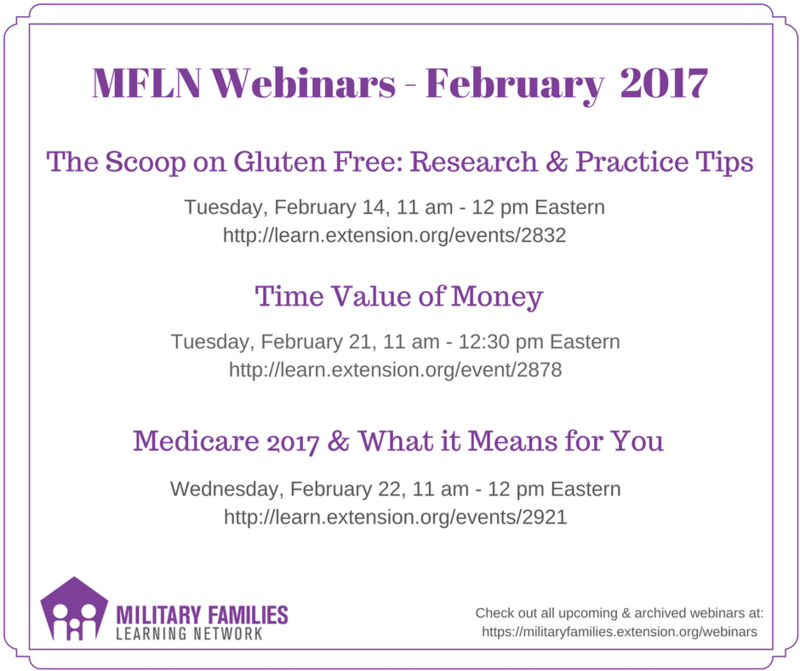 Don’t forget to check out our upcoming webinars for February! If you do not currently receive the MFLN “Network News” to your inbox each month, we invite you to subscribe. Next PostNext FD Early Intervention 2016 Recap!